Heat pumps transfer heat by circulating a substance called a refrigerant through a cycle of evaporation and condensation. A compressor pumps the refrigerant between two heat exchanger coils. 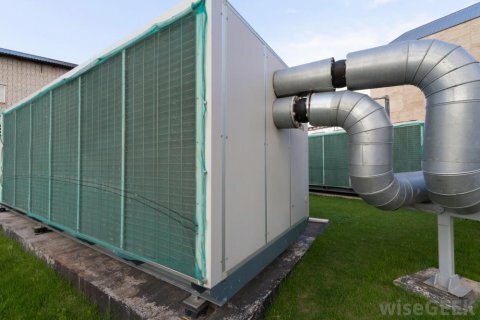 In one coil, the refrigerant is evaporated at low pressure and absorbs heat from its surroundings. The refrigerant is then compressed en route to the other coil, where it condenses at high pressure. At this point, it releases the heat it absorbed earlier in the cycle. What Causes A Heat Pump To Freeze Up? In 2012, the Metropolitan Water Reclamation District of Greater Chicago (MWRD), along with the University of Illinois at Chicago, developed a sewerthermal heating and cooling system to harness energy from effluent water (treated wastewater).